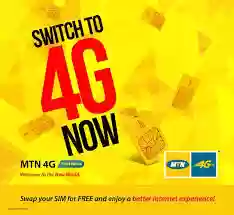 Mtn 4G LTE subscription is now available for subscribers. Recently mtn introduced there 4G LTE using visa phone. Now the have made there subscription available for subscribers to subscribe. I think its somehow good considering the fact that Ntel has not gotten to so many states in search of coverage. So once you have Mtn 4G coverage, you can subscribe. How Can I subscribe for the MTN 4G Data Plans ? >>Requirements: You must have a 4G LTE enabled smart device. >>Dial *444# and choose your preferable plan. What's your say on Mtn 4G subscriptions?